Sanofi and Lonza will build a biologics production facility in Visp, Switzerland, under a joint venture. Image courtesy of Sanofi Pasteur. Lonza’s expertise in building and operating large-scale mammalian cell culture facilities will benefit the JV. Image courtesy of Sanofi Pasteur. The new facility in Visp will support the production of monoclonal antibodies. Image courtesy of Sanofi Pasteur. Leading Switzerland-based biopharmaceuticals supplier Lonza and French life sciences firm Sanofi has established a joint venture (JV) to set up a large-scale biologics production facility in Visp, Switzerland. Designed to support the production of monoclonal antibodies, the project will require an investment of approximately CHF290m ($285m), which will be shared equally between the two JV partners. The facility is expected to be fully operational by 2020. The new partnership with Sanofi is part of Lonza’s strategy to address the long-term needs of its operating markets by establishing a state-of-the-art strategic biologics manufacturing platform. The terms of the JV state that Lonza is free to market its share of the capacity if Sanofi does not require it, as well as any capacity unused by Sanofi. Both partners also have the flexibility to alter their equity shareholding in the future, and access the bio-manufacturing capacity that is proportionate to their shareholding. Lonza will bring its expertise in building and operating large-scale mammalian cell culture facilities to the JV project. The company has built three mammalian cell culture facilities in the US and Singapore, and has experience in designing, constructing, operating and licensing. Sanofi will bring its experience in developing and launching biologics-based treatments to the JV. 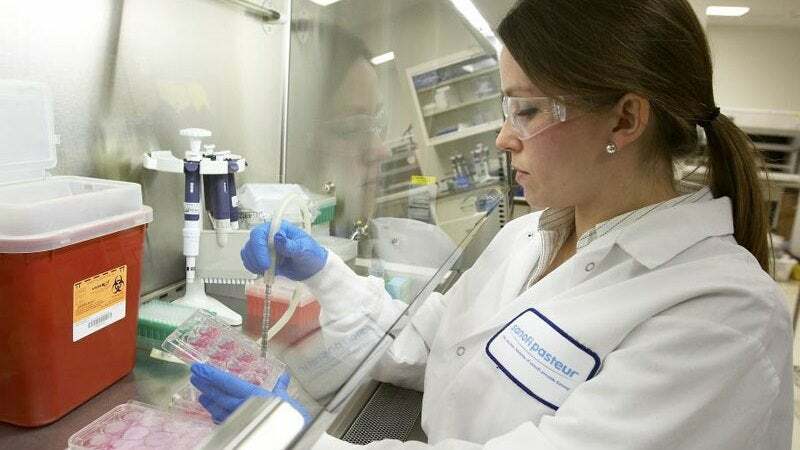 It is estimated that roughly 60% of the firm’s drug pipeline consists of biologics in multiple areas, including cardiovascular, immunology, inflammation, neurology and oncology. Construction began on the project with a ground-breaking ceremony in September 2017. The facility is expected to be fully completed in 2020. Lonza was founded in 1897 and supplies custom manufacturing and development services to the pharmaceutical, biotech and speciality ingredients markets. The company offers a wide range of products, including active pharmaceutical ingredients (API), drinking water sanitisers, nutritional and personal care ingredients, agricultural products, industrial preservatives and microbial control solutions. Its pharmaceutical and biotech offerings include custom development and manufacturing, as well as bioscience solutions. Lonza employs more than 10,000 people worldwide and oversees 40 major manufacturing and research and development (R&D) facilities. Sanofi is a pharmaceutical company engaged in the discovery, development and distribution of therapeutic solutions to patients worldwide. The group became the world’s fifth largest healthcare company in 2015, with aggregate sales of €37bn and a staff of more than 11,000 employees. Sanofi has presence in more than 100 countries and industrial sites in more than 40 countries. The company focuses on innovation in human vaccines, rare diseases, multiple sclerosis, oncology, immunology, infectious diseases, diabetes, cardiovascular and consumer healthcare solutions. Sanofi announced a €300m ($340m) investment to expand its biologics manufacturing site in Geel, Belgium in 2016 to support the production of monoclonal antibodies. Therapure Biopharma is a contract development and manufacturing organization (CDMO) that specializes in the development, scale up and manufacture of complex biologics.